Police officers spend majority of their time out protecting communities on the beat, but two Palmerston North police detectives are taking it one step further by helping to protect their community in the water - by becoming qualified swim teachers. 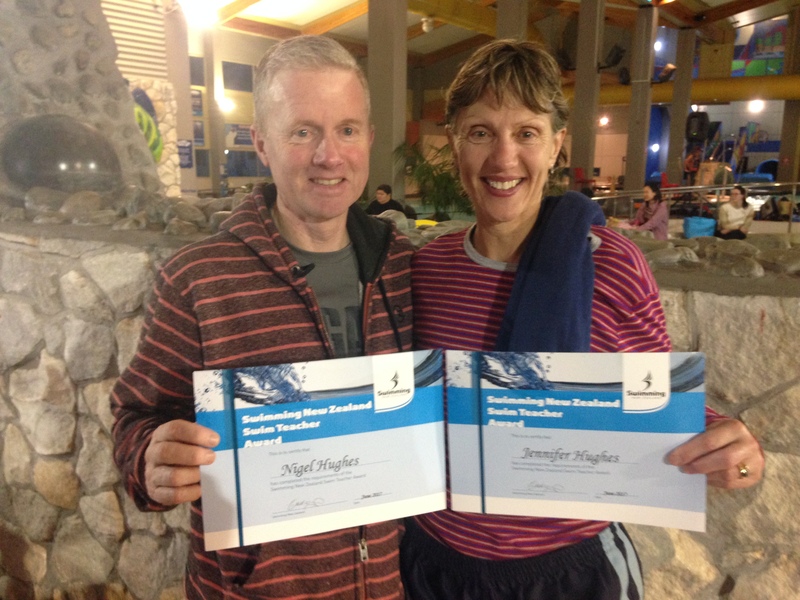 Nigel and Jennifer Hughes attended the Wellington Swimming New Zealand Swim Teacher award course in November last year. The husband and wife duo completed the practical swim teaching hours required to gain their qualifications by volunteering their time teaching children and adults to learn to swim at the SwimMagic Swim School in Palmerston North. Although they're both used to the pressures of being a part of the police force, this experience has really pushed them out of their comfort zone. “When you work with the community from a law enforcement perspective you see all sorts of things, some of which are not very nice, but our time in the pool has let us see the other side and we have really enjoyed it," says Mrs Hughes. Wellington Education Advisor Sarah Gibbison highlights that it is fantastic to see the aquatics industry attracting such high caliber people who are interested in supporting people through their learn to swim journeys and Nigel and Jennifer are perfect examples of this. Swimming New Zealand Swim Schools actively work to positively engage children and their families involved in the learn to swim experience. Nigel and Jennifer develop genuine and sound relationships with both the children and parents in their classes. In fact children felt so comfortable with both Nigel and Jennifer that they started telling them all about their day at school and what they had been up to over the weekend. Thank you to Mitchell, Lynden and the team at SwimMagic Swim School for supporting Nigel and Jennifer through their qualification. Follow Swimming New Zealand on Social Media.